generating electricity from the disposal of solid municipal, medical and industrial waste. This involves a variety of combustion techniques: grate, pyrolytic and rotary kiln as well as fluidized bed combustion. As a general contractor of EPC, the ZhongDe Group is responsible for the design, engineering, procurement, construction and installation of energy-from-waste plants using the technologies cited above. 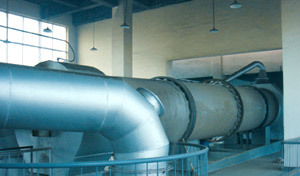 As an investor of BOT projects, the ZhongDe Group also finances and operates the energy-from-waste plants besides the above EPC role. ZhongDe Group has cooperation partners which act as subcontractors completing EPC and BOT projects during the construction period. EPC refers to an engineering, procurement and construction project. Under such projects, contractors undertake all preliminary project work, such as designing, purchasing, manufacturing, constructing up to commissioning. Contractors are also responsible for the quality assurance, in-time construction and safety of the project. For a BOT project – Built, Operate and Transfer –the government signs a concession agreement with ZhongDe to build and operate the energy-from-waste plant for a contracted period of time (usually 30 years). The project is then taken over by the government after the concession period.